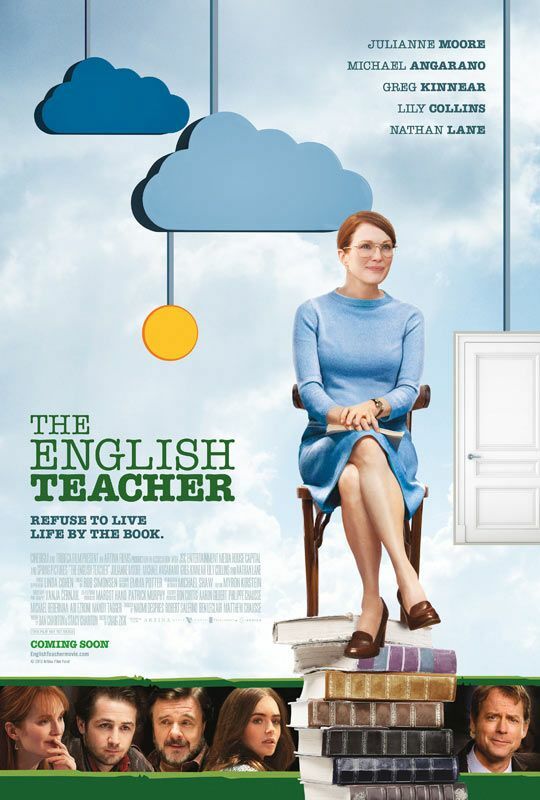 The indie dramedy The English Teacher tells the story of Linda Sinclair (Julianne Moore), a 40-year-old, unmarried high school English teacher in small town Pennsylvania. With no children and no relationships to speak of, her life is uncomplicated, which is just how she likes it. Her greatest passion and her biggest fulfillment comes from helping her impressionable young students discover their own creative voices, until a former star student (Michael Angarano) returns and threatens to undo it all. During this recent exclusive phone interview with Collider, co-stars Julianne Moore and Michael Angarano talked about how they came to the project, what they enjoyed most about playing their characters, and how much they enjoyed the experience of working with each other. Julianne also spoke about the next film she’ll be shooting, Maps to the Stars, directed by David Cronenberg, while Michael spoke about how he’s shooting the remake of Heat with Jason Statham, and they both talked about why Hollywood loves remakes, and what might entice them to working in a really great role on cable television. Check out what they had to say after the jump. Collider: How did each of you come to these roles? JULIANNE MOORE: I actually ran into one of the producers on the street, who I’d known from another movie, and he said he had a script he wanted to send me that he thought I was perfect for. I read it and loved it, and thought it was so funny and relatable and refreshing. I said, right away, that I wanted to do it. 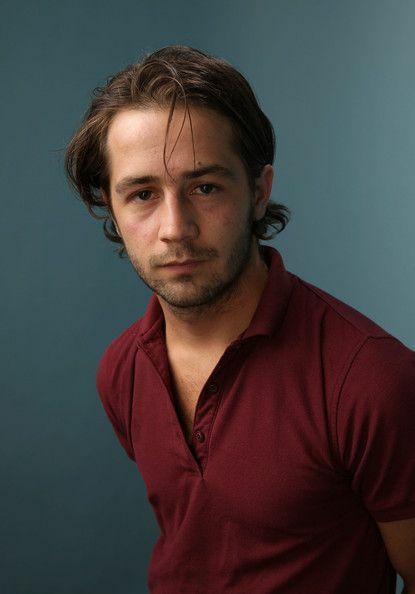 MICHAEL ANGARANO: I had a similar thing, where I got sent the script by my agent while I was working on something else. I knew that I had to put myself on tape and have a meeting with Craig [Zisk], the director, via Skype. I did both of those things. I was actually immediately unhappy with the tape that I sent and called Craig to tell him that, if he didn’t want to watch it, it was fine because I was going to make another tape. I made them both at like midnight or one in the morning, while I was filming this other movie in upstate New York. But, I got the news, while I was on that set, that I got the part and I was very, very excited. MOORE: I saw his tapes, and they were great. Because this movie has a very specific tone, was it something you immediately saw on the page or did you discuss that with the director before signing on? MOORE: I think it read. It read how it presents itself. That was one of the things that was so great about it. It had a sincerity to it that was really refreshing, but also a comedic sensibility that I was really interested in. At times, these characters are almost uncomfortably human. What did you enjoy most about inhabiting these individuals? 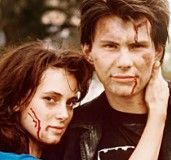 ANGARANO: I think Jason, for me anyway, was very relevant because he’s going through a little bit of an existential crisis and post-college malaise. He’s at a crossroads of his life, where he’s either going to pursue a career in something that he doesn’t want to do, like being a doctor or a lawyer, or he’s going to suffer as an artist. I think that he is seeking validation, like most young people in their 20’s. So, when Linda comes along and gives him this opportunity, he realizes that he can be creatively and personally satisfied, even though it was something he didn’t really have in mind. He realizes that life is full of compromises, and whether or not you’re willing to negotiate. MOORE: I loved Linda. I found her so incredibly relatable, honestly. I was that kid. I was the kid who read a lot and who was academic, and who was more of an indoor person than an outdoor person. I would win the summer reading contest at the library. I feel like Linda is somebody I could have been, were it not for the intervention of my English teacher when I was a junior in high school, who told me that I could be an actress. I started doing drama after school because I didn’t do anything else. I wasn’t athletic. I couldn’t make the drill team. I couldn’t do any of those things. This teacher actually changed the course of my life, so I felt like I understood and really knew who Linda was. Neither of these characters are happy with where they’re at in life and they’re both personally unfulfilled. Does that make you even more grateful that you get to do what you love for a living, and that most people don’t get that opportunity? Julianne, you’re a very well-respected and admired actress in the industry, and anyone I’ve ever spoken to that’s worked with you speaks very highly of the experience, including your co-star Lily Collins, who is clearly a fan of yours. MOORE: She’s a sweetheart. I love that girl. She’s the prettiest girl in the world, and such a nice girl, too. And she was so funny and so sly, in the part. It was great to see her do that kind of character. I loved it. Do you find yourself absorbing as much from your co-stars, as they clearly do from you? MOORE: You always absorb a lot from a great actor. What you want, as an actor, no matter where you are in your career, is a partner who’s going to bring everything they have to the scene. It’s pretty boring, working by yourself. The scene happens in between the two of you, and then you don’t know what it’s going to be because it’s a kind of combustion. So, you do take something from every actor you work with. In this movie, everybody brought stuff to the table. They were all so interesting and fun and talented. It was great! It was always a great surprise and a nice experience, every day. 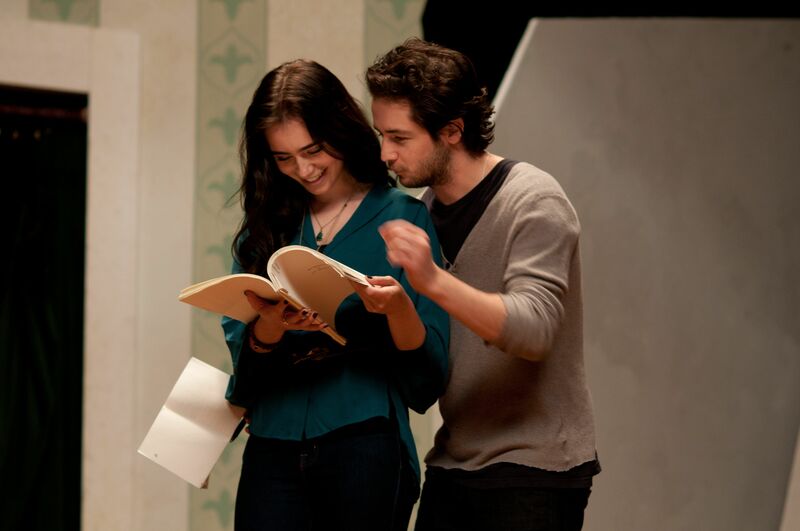 Michael, Lily Collins and Juno Temple both had very high praise for your work and ability, as an actor. Has it been important to you to be selective about the work you do, and gain respect in this industry and in your craft, instead of just looking for the biggest blockbusters? ANGARANO: To be honest, it’s a combination of just wanting to work as much as possible and steadily, and doing things that you believe in. I would be lying, if I said that sometimes it is just a job that you show up for because you’re getting paid, and that’s important, too. But, if you can be in a state of mind where you enjoy your job, whether it’s just a job, or it’s actually cathartic for you, or it’s something personal. I think it would be much easier to be content with doing a good job. 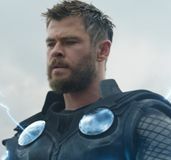 For me, whether it’s redundant or whether it’s something new, I just want to relate to the character, in some way, or do something that interests me, in some way or another. How was your experience working with each other? Do you like to rehearse scenes ahead of time, or do you prefer to just live in the moment? MOORE: We didn’t talk about it a whole lot. I’m not one of those big backstory people. I like to have some rehearsal. I think we had a little rehearsal. We spent time with each other. For me, the most important thing is that I feel comfortable with the actor that I’m working with and I’m able to talk to them. I think I asked Michael a lot of questions about himself and his family. We talked about a lot of personal things, and I think we both felt pretty comfortable spending time with each other. ANGARANO: We found out we do share a birthday. MOORE: Yeah, we have the same birthday, which makes us zodiac twins. MOORE: Everything in our charts line up. The comedy in this movie comes from grounded performances in absurd situations. Does that type of comedy come more easily for you because it is more organic? MOORE: I think it’s much easier. When I was doing the scene with Greg [Kinnear] in the hospital, I loved that scene, but it’s not funny unless you’re genuinely crying, and that was hard to do. You put a lot of pressure on yourself because you have to find the emotion underneath it, otherwise the laughs don’t play. But, it’s satisfying. Do you both know what you’ll be shooting next? MOORE: Yes, I’m going to do a film with David Cronenberg this summer, called Maps to the Stars. It’s based on a Bruce Wagner novel. I’m very, very excited. ANGARANO: I’m doing a movie called Heat right now, with Jason Statham and Stanley Tucci. You both have remakes coming out, with Heat and Carrie. When you get a script for a remake, do you read them with an open mind before making any judgments, or do you typically try to steer clear? MOORE: They’ve been doing remakes for years. Ever since there’s been a Hollywood, they remake a movie every 20 years, so it’s not a new thing. A Star is Born has been remade four times, or they’re gearing up for the fourth remake of it. With everything, you have to approach it with an open mind and know that, like doing a play, every production is going to be different. Generally, things are remade because they were interesting and some people want to get a crack at doing them. It’s always going to be different, and hopefully enough time has passed between one version and another iteration that it doesn’t feel like they’re right on top of each other. ANGARANO: In the case of Heat, everybody thinks I’m talking about the Robert De Niro movie and I have to say, “No, there was actually a movie called Heat with Burt Reynolds, that William Goldman wrote.” And everybody is like, “Oh, I don’t remember that one.” Or if they do remember it, they either loved it or hated it. I think you approach it the same way that you do anything else. You each have had some television experience in your acting history. 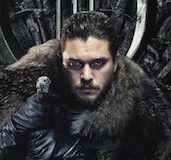 With all of the great stories and characters on cable television now, would either of you consider doing a short-run cable series or an arc on a show? ANGARANO: For me, it just depends on the role and depends on whether it’s something I would want to be a part of for a long period of time, and if it’s a character that I could see growth in, or that I would want to play for possibly a few years of my life. So, I think it just depends on the role and, especially with TV, the people. I did a pilot last year with Nick Stoller, and he directed it and wrote it and was going to be showrunner, and it was such an amazingly satisfying and fun experience. It all depends on the people, for me. MOORE: I agree. It would have to be something very original and very interesting, and something that I felt that I would want to sustain for a period of time. The English Teacher is now playing in theaters.